Home > News > Why Are Some Roofing Companies Claiming That Hand Nailing Is Better? 01 Feb Why Are Some Roofing Companies Claiming That Hand Nailing Is Better? 1: Roofing companies find it difficult to distinguish themselves from one another. The invention and wide adoption of nail guns has made it “easy” to become a roofer and many companies are having trouble staying competitive. 2: The nail gun was only invented sixty years ago and did not come into wide use in the roofing industry until the mid-eighties. Their adoption depended more on being cordless than their actual ability to drive nails into construction materials. 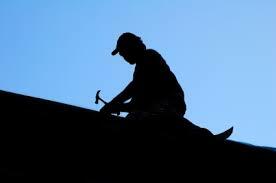 Roofers that hand nailed worked very hard to perfect the art of precision and speed. Now that nail guns are common place these craftsman feel like their trade has been reduced to the point where almost anyone can do it. The debate centers on making claims about the quality of hand nailing versus gun nailing. According to Angie’s List there are solid points made by both sides. So should you get a company that hand nails your shingles instead of using a nail gun? No, the reason that some people are holding onto hand nailing is because they don’t want to have developed a skill that is no longer necessary for roofing. Here at Peak Roofing we see companies that promote hand nailing like the people who claimed the printing press was a bad idea. The companies that make nail guns work hard to make sure that they provide the same quality of workmanship that hand nailing used to as a much higher speed. We stand by this statement with all of our warranties.